The St. Louis Science Center has a new exhibit on Climate Change and how it will possibly impact the Earth and its population if warming continues unabated. Please take a moment by answering my latest poll and give me your thoughts. Also, here are some dates of my upcoming presentations. 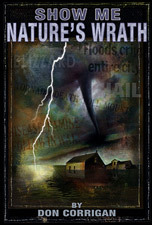 In anticipation of an active tornado season, Don will give a presentation about Missouri’s worst tornadoes based on the research he did for his “Show Me…Nature’s Wrath” book. 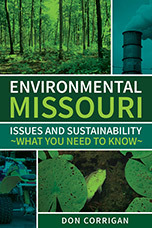 Don Corrigan will present a Powerpoint on tornadoes that hit St. Louis and Missouri from 1896 to 2011. Don Corrigan will present a Powerpoint Show on tornadoes that hit St. Louis and Missouri from 1896 to 2011.